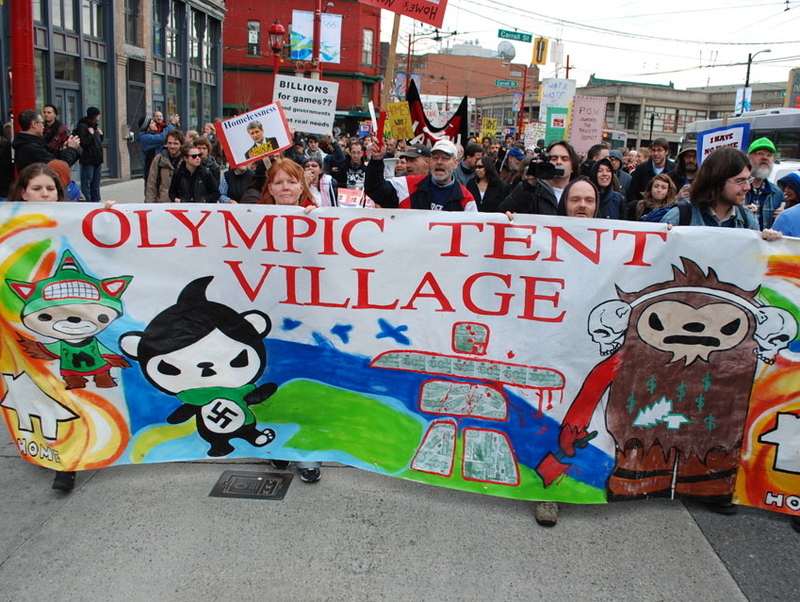 An angry Quatchi, wearing skull earmuffs and wielding a bloody hatchet, with dollar signs and a chopped-down tree on his belly, appears on this protest banner that’s now outside the Olympic Tent Village. Miga looks like Hitler. Photo by luv and revolution. Miga’s on there too. 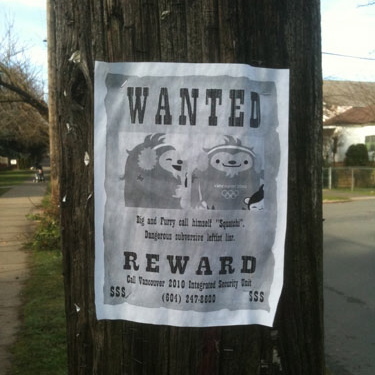 Sumi, and possibly Mukmuk, are forthcoming… Thanks Joseph! 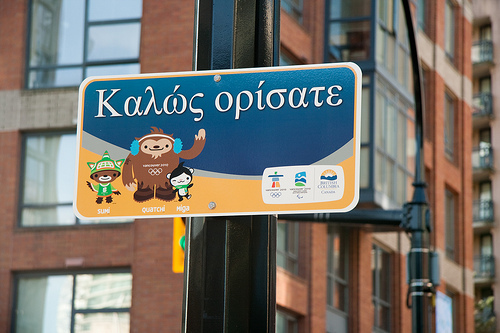 There are currently a bunch of signs around Vancouver showing the mascot trio with “Welcome” in a variety of languages (the one above is in Greek). This guy Stv is trying to photograph them all, as documented with his cool flickr set. I was tasered and locked up under orders of a VANOC security certificate. 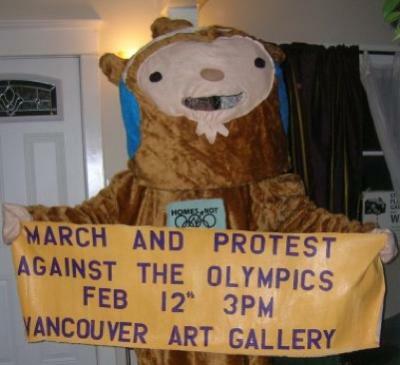 It seems mascots are another one of those things not covered by the Charter of Rights and Freedoms. They put an evil robot Quatchi in my place. Don’t worry; I’m safe now. I escaped. 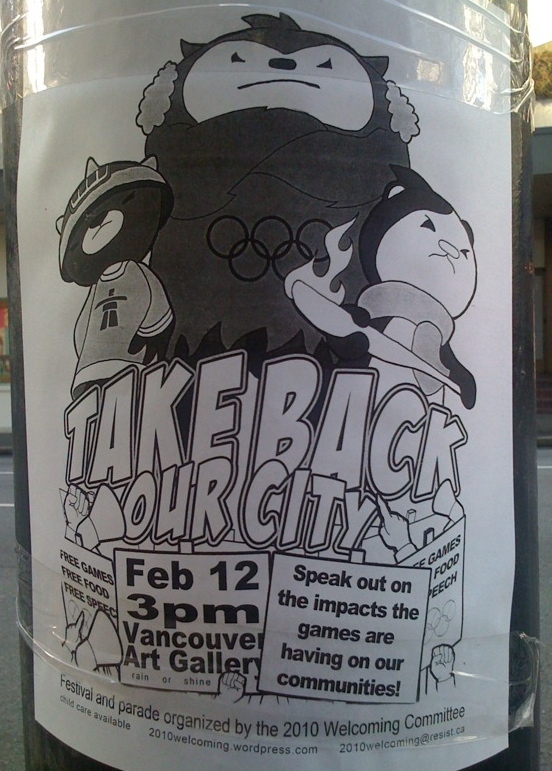 And after a few days wandering the alleys of Vancouver hanging out with other folks who have been displaced by the games, I met up with people who were concerned about more than just getting rich. 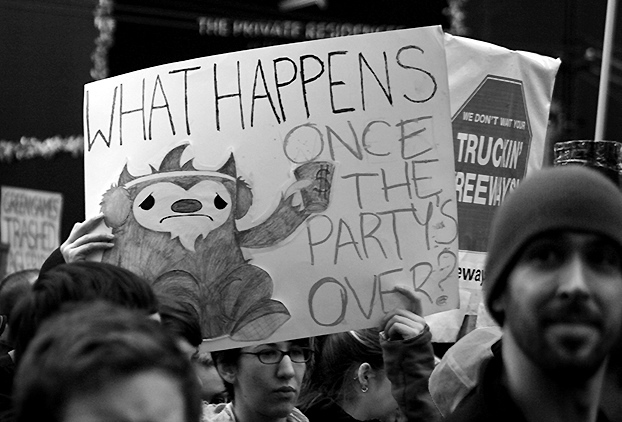 The kind activists of the Anti-Poverty Committee found me a new home, and a new job as official mascot for the 2010 Welcoming Committee. 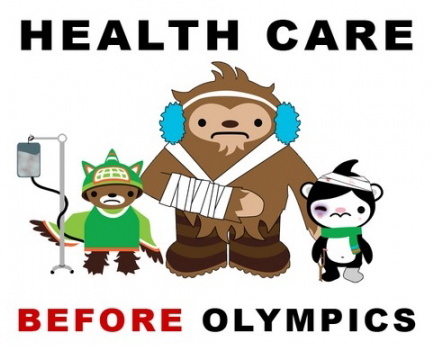 I also have a new name, Squatchi, to honour the tradition of homeless people squatting in buildings abandoned by their owners, and because the International Olympic Committee owns my old name. 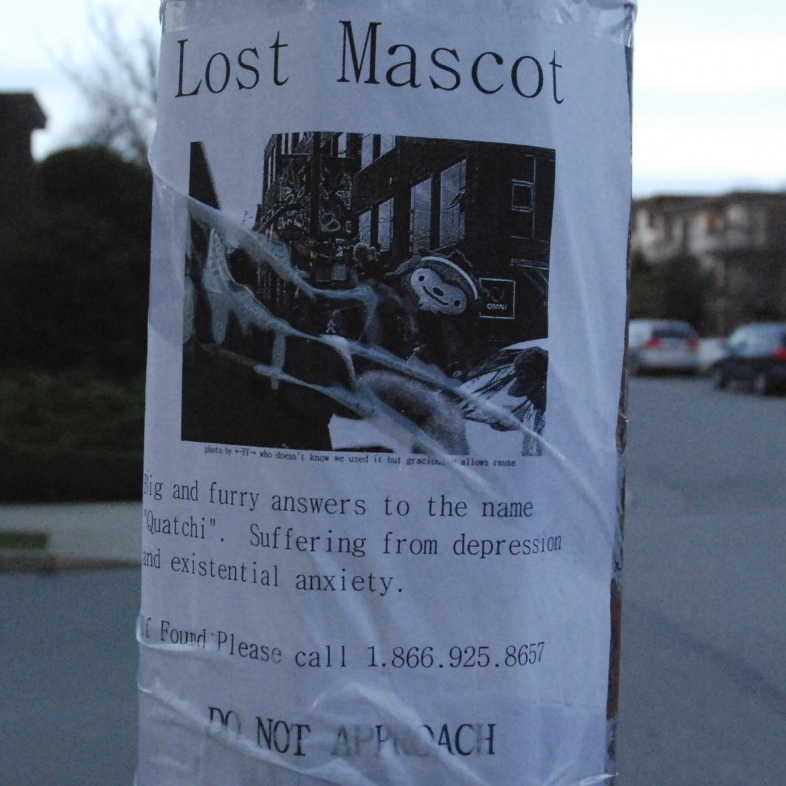 I’m afraid they might lock me up again before I can return to my family and once again roam the wild and free mountain forests of the Salish coast. P.S. 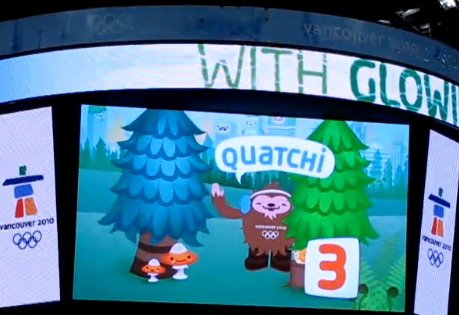 Stay away from the evil robot Quatchi; he is dangerous and also smells bad. That’s the ISU’s Media Relations number. 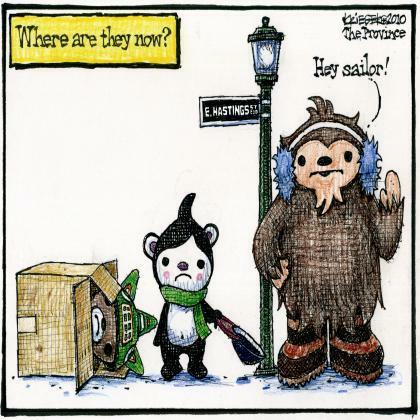 Found here.